She held the attention of the nation and the world as a toddler 17 years ago after she fell into an abandoned well. 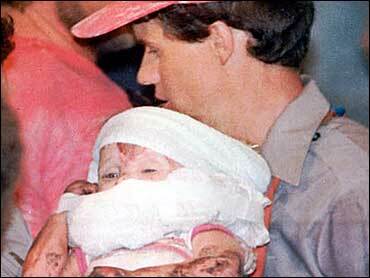 Crews struggled for 58 hours to rescue 18-month-old Jessica McClure from the eight-inch-wide pipe. On Friday night she became a high-school graduate. The 18-year-old Midland-area girl joined 113 other seniors from Greenwood High School near Midland in receiving their diplomas. The Midland Reporter-Telegram reports McClure clutched a Gerber daisy as she stepped forth to accept her diploma at Midland College's Chaparral Center. The newspaper reports nothing in the commencement ceremony distinguished McClure from her 112 senior classmates. It also reports no unusual publicity surrounding the rural high school's commencement in Midland.